- 3 metres of connection cable for power connection and thermocouple. 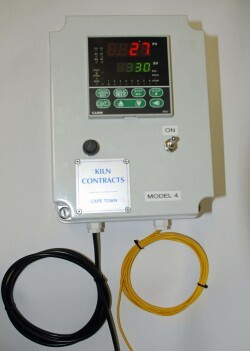 - simple connection via computer plug and fully transferrable between any Kiln Contracts kiln. - protected by light current fuse. - can be supplied with wiring diagram for connection to third party kilns.